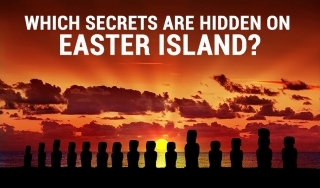 Which secrets are hidden on Easter Island? The uniqueness of Easter Island shows in diverse opinions of it. That is, on one hand, people know everything about this place, but on the other hand they know nothing. Its enigmatic stone statues keep being silent witnesses of the ancient and unknown culture. Yet, who could create these monumental sculptures out of rocks? A little bit of geography. In the south-eastern part of the Pacific Ocean, between Chile and Tahiti there is Easter Island (see Figure 1). Local natives call it Rapa Nui. Easter Island is one of the remotest islands on the planet. The distance to the closest dry land is 2,092 kilometres in the west and 2,971 kilometres in the east. The island has a triangular shape with extinct volcanoes on each of its edges. While re-reading the article Keeper of Genesis. Part II. EdfuBuilding Texts. The wisdom god Thoth, I was carried away by the photographs of majestic Egyptian temples and once again noticed the abundance of hieroglyphs covering the temple walls. A question came to my mind, which had arisen several times before, though I had never got to profound clarification of the issue. What do those beautiful signs mean, and have scientists managed to decipher and understand what the wise ancient people endeavoured to communicate to their descendants? Then, owing to a hint given in the commentary section, I learned about a wonderful man whom we should thank for letting us know so much about the Egyptian mythology and rituals, as well as about Ancient Egypt in general. That man was Jean-François Champollion, a French scholar, philologist and orientalist, and a founding figure in the field of Egyptology. In this article we will exactly talk about this remarkable person, about his life devoted to the quest of Truth and his selfless labour for the benefit of humanity, which could be a good example for all of us. Why were the ancients so interested in the motion of the stars? Sacred science of ancient Egyptians. Death is westing (“going towards the west”). Faith in the afterlife and the Soul’s immortality. Nile overflows and star cycles. The annual cycle of Sirius and Orion. 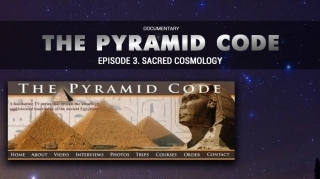 The Pyramid Texts as the oldest known religious texts in the world. Jean-François Champollion and Thomas Young. The Rosetta Stone. Laird Scranton’s hypothesis on reading of hieroglyphs. An ancient observatory in Nabta Playa.